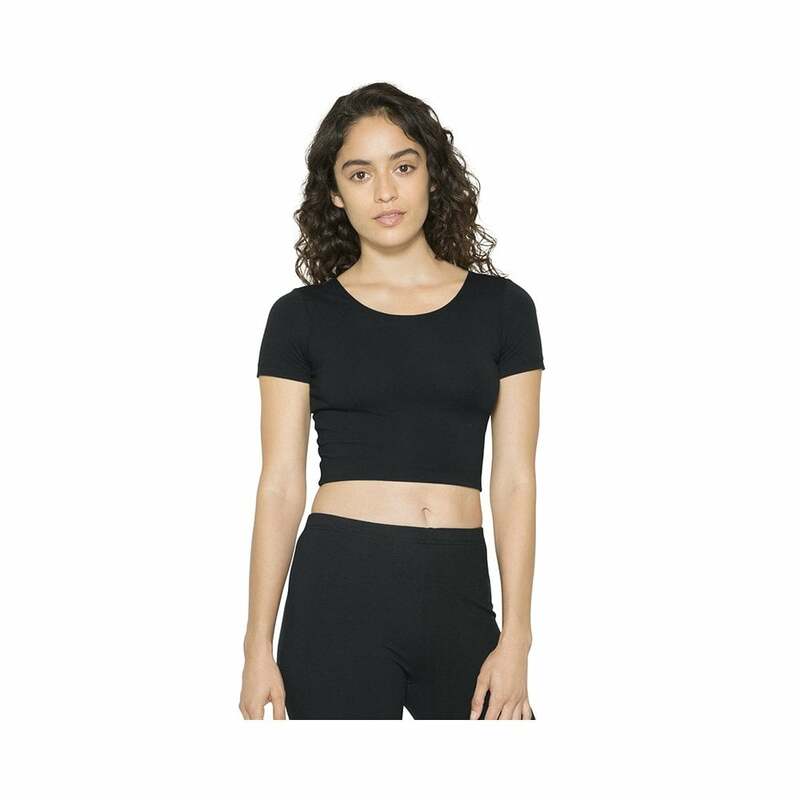 American Apparel Cotton Spandex jersey crop tee this is a trendy top which is very popular among our younger customers. It is made from 95% cotton and 5% spandex which give it a comfortable and stretchy fit. This crop top has the following features a relaxed neck opening, slim fitted and is waist length. Colour wise there is black and white to choose from. Sizes start at extra-small and go up to large.